A magnificent Buddhist temple in Southeast Asia, the Temple of the Emerald Buddha was built to shelter a very special statue, a statue considered sacred and particularly venerated by the Thai people: The Emerald Buddha. And leaving talk of curiosity and anecdotes about it, let's start with the most curious of all: This statue is not an emerald. 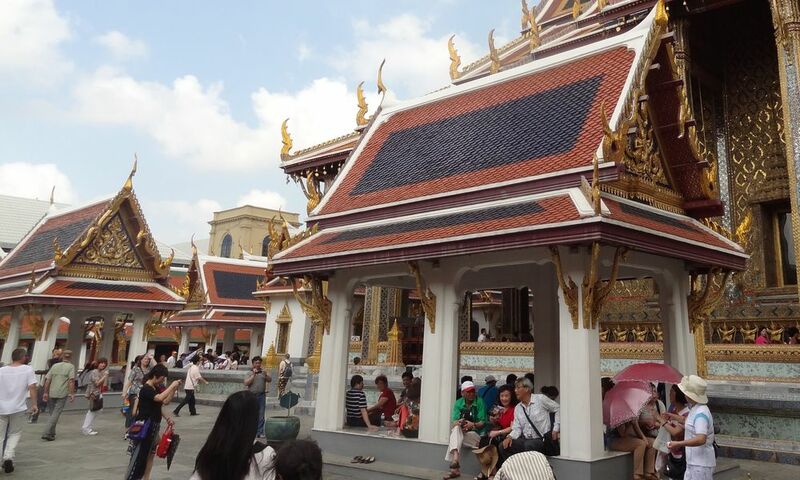 And yes, the Emerald Buddha is actually a piece of jade, two green stones. It is so called because of a language error. 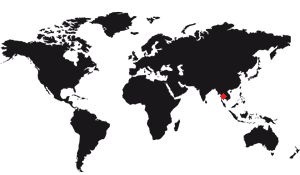 The word "green", in Thai, uses the word "emerald". Ancient translators have made an amalgamation between gem and color, hence its current name. 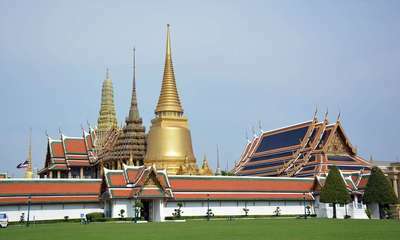 The Emerald Buddha had, at the time of his installation in his temple in Bangkok by Rama I, three outfits. One that is made for the summer season, another for the rainy season. The 3rd came a little later, it's a winter dress. There is a tradition of shining the statue with water. It was done during official ceremonies, in the ubosoth, and it was operated by projecting water directly on the jade. But the princes who attended the ceremony were also sprinkled, and even the officials who were on the spot! 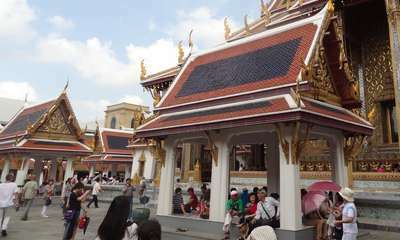 Nowadays, this tradition continues, but the present king is also sprinkling the crowd coming to the temple. Proof that traditions in Thailand evolve over time. Another tradition was initiated under Rama IV (1851-1868): the ceremony of allegiance of the officials to the sovereign. During this ceremony two Buddhas of 3m high were venerated: They are the ones who keep the Emerald Buddha in the ubosoth. This tradition disappeared during the revolution of 1932. The two Buddhas surrounding the jade statue are dedicated to Rama I (the one in the North) and Rama II (the one in the South). They were made to serve as avatars to these two kings so as to justify a change of name. Indeed, under Rama III, his predecessors were called by the people "The first reign" and "The intermediate reign", suggesting that his would be "The last reign". He therefore had his statues built, decided that they were the protectors of the two Rama, and asked the people to call them by their official names. What was done. On the central terrace, more exactly on the north side, there is a magnificent reproduction of the temple of Angkor Wat. It is a curiosity that originated in the eighteenth century, a time when the king of Thailand tried to dismount Angkor Wat stone by stone and back on the Thai territory, to prove the superiority of this people over its neighbors. Unfortunately, the military expedition that was supposed to secure the Angkor Wat territory got stuck in the jungle, harassed by the Cambodians and had to turn back. Angkor Wat is still in the same place, and instead the king built a simple model!